Private equity (PE) ownership models provide a strong platform for responsible investing as they typically have long-term investment horizons and involve the active management of portfolio companies. This enables firms to work closely with these companies to tackle issues that impact them, says Ashish Shastry, head of Southeast Asia at global investment firm KKR, which is known for its PE funds. For instance, KKR’s investee companies remain in its portfolio for an average of five to seven years. This allows the firm to help them address environmental, social and governance (ESG) issues over years rather than quarters. “As investors and active partners, KKR aims to help our portfolio companies by providing them with guidance, resources and long-term support to implement specific initiatives that make sense for them,” says Shastry. He adds that the firm conducts due diligence on ESG, legal, compliance and financial matters for every deal pre-investment. It also provides a framework for accountability and reporting post-investment. “In addition, where appropriate, we include ESG as part of our 100-day management plan. These actions reflect KKR’s strong conviction that support for ESG initiatives can improve financial performance,” says Shastry. KKR began incorporating ESG considerations in its private equity investments in 2008. This decision stems from its belief that focusing on these issues is essential to the long-term success of the investee companies. “People everywhere are increasingly making decisions based not only on economic benefits but also their values. There are plenty of examples in politics globally, but I am more interested in the rise of Islamic finance, which applies Islamic values to finance. And, of course, in the growing importance of ESG in finance,” says Shastry. He observes that there is a growing awareness of the value of integrating ESG practices into investment processes in the private equity industry. Meanwhile, at the other end, many of the companies that are seeking investments in Southeast Asia are beginning to understand the importance of adopting such practices. 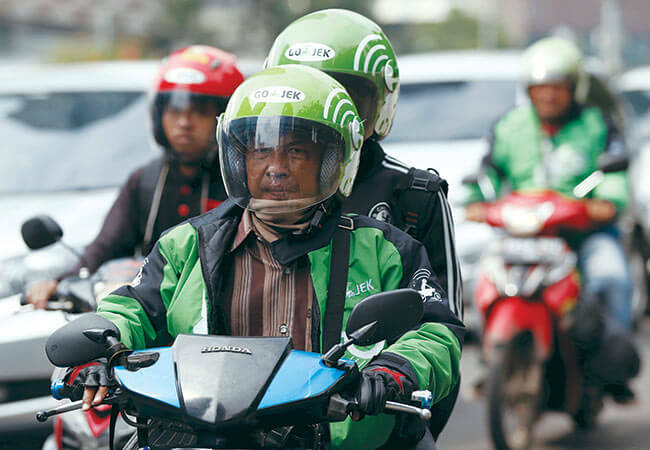 “For example, the strategy of our portfolio company Go-Jek includes social impact as one of its three main values. 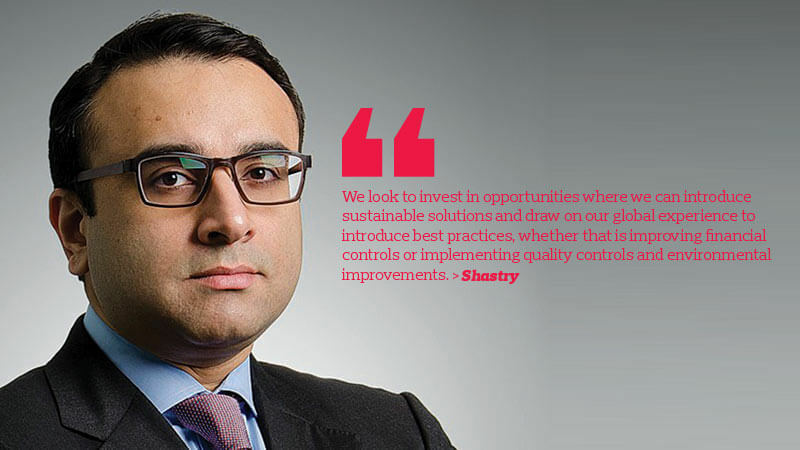 Ten years ago, when we wanted to implement ESG practices in our portfolio companies, we were sometimes met with scepticism or resistance, especially when we incurred some upfront costs or changed a long-established business process,” says Shastry. KKR became a signatory of the United Nations-supported Principles for Responsible Investment in 2009 and has supported the Sustainability Accounting Standards Board since 2012 in establishing ESG criteria for various industries. However, the standards and guidelines for responsible investing are still evolving. “Every year, KKR publishes an ESG and Citizenship report. In the latest version of that report, KKR co-founders Henry Kravis and George Roberts say, ‘We recognise that, as with company performance, today’s leading ESG management practices will likely be lagging practices in a year without a continued focus on progress’. I think they are right. It takes constant effort to stay current with the best practices in ESG. And this is something we at KKR are committed to,” says Shastry. KKR’s responsible investing activities fall into three categories. ESG Integrated brings ESG considerations into the investment process, ESG Targeted identifies portfolio companies that can benefit from improved ESG performance and Solutions Focused invests in companies whose services provide a solution to an ESG-related challenge, such as renewable energy or sustainable agriculture. According to KKR’s website, it had completed private equity deals worth US$560 billion in total enterprise value as at June 30. It closed its latest Asian PE fund — the US$9.3 billion Asian Fund III — in June last year. One of the firm’s most recent acquisitions was a 60% stake in Ramky Enviro Engineers Ltd, a provider of environmental services and solutions in India and abroad, in August. The firm is also integrating ESG practices into other asset classes such as real estate, energy and infrastructure. “One advantage KKR looks to leverage is our deep and broad network of experts who can help us identify and address the broad range of ESG challenges we face. The firm takes each situation across the different asset classes and industries as well as each company’s own challenges into account during our ESG diligence and management processes,” says Shastry. Shastry will be speaking at the Global Islamic Finance Forum 2018, which will be held on Oct 3 and 4 in Kuala Lumpur. The event is organised by the Association of Islamic Banking and Financial Institutions Malaysia with the support of Bank Negara Malaysia. Shastry will be speaking on integrating sustainability and responsible financing into the financial sector.